Small Desires is Solander Gallery's final exhibition for 2012. It will be on from 1 - 24 December. featuring small affordable works by over forty of Solander's talented artists for $300 or less! 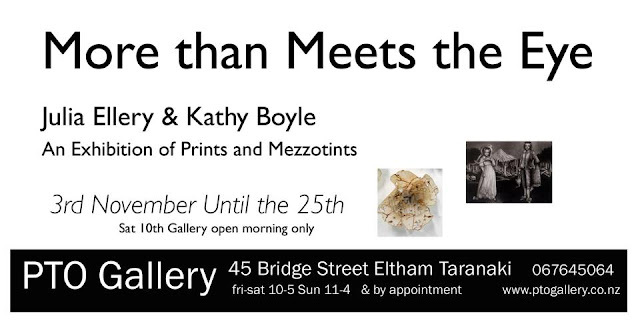 is opening on 10:30am Saturday 24 November at Papakura Art Gallery. The exhibition is on until 21 December. Tiffany Singh, Daniel Tautua, Sarah Treadwell, Phil Trott, Tim White, Paul Woodruffe. in the Faculty of Creative Industries and Business’s Department of Architecture. where these practitioners, students and the public interact. at the Quarry Arts Centre 'Summer Do' from 5-12 January 2013. Try it for the first time, perfect your skills or utilise it in your existing practice. so there are no toxic fumes created with this technique and no solvents are used. Open to beginners and experienced creative people. Register your interest by contacting the Quarry Arts Centre. you will be asked to secure your booking with a deposit and then in due course full payment. Campsites are available onsite at a cost of $60 per person for the week. or may be able to assist billeting with local students. See Quarry Arts 'Summer Do' Website to register or for more information. will be on display at PTO Gallery, Eltham, Taranaki from 2-25 November. She has over 200 prints to clear (and Big Ply paintings too)!! 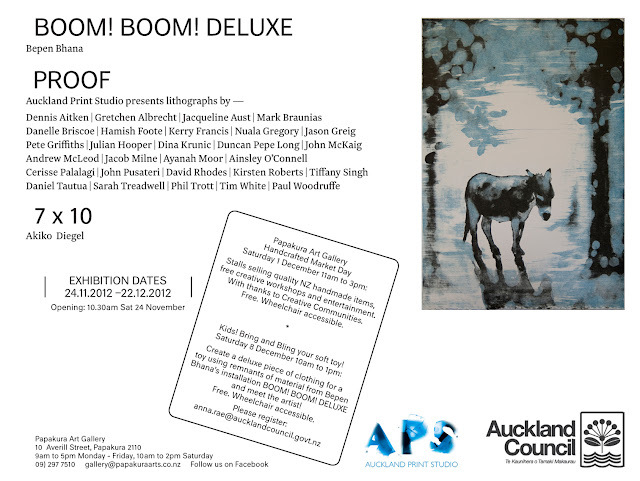 If you are in Auckland then this may be a great opportunity to add her to your collection. I love to meet NZ Printmakers from all over the country! I am keen to introduce you to others making prints around NZ. then please feel free to comment below or click here to send me an email. Thanks to you all for continuing to read my blog! 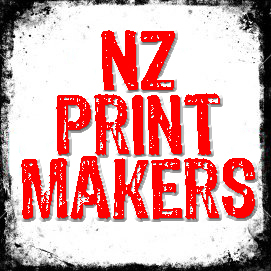 and to spread the word about NZ Printmakers around the world. There are two exhibitions on at ArtsPost in Hamilton that you may be keen to see. Both these exhibitions are on now until 3 December. 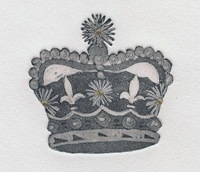 Sue Roots exhibition, Crowning Glory, features etchings and collagraphs of NZ native flora. Sue is giving an artist floor talk tomorrow, Saturday 3 November at 10.30am. Also, check out Carole Shepheard's exhibition, 'Beginning with Chance...' which is mixed media & print. The starting point for the works was to experience an amazing fireworks display in Venice. Click here to check out ArtsPost website for more information. located at 70 Hill Road, Manurewa. you can still get along and see the artworks for another week.